Gould wrote this fugue as the finale to, "The Anatomy of the Fugue," a television program he also wrote and directed. Airing in the early 1960s, it discussed the concept and construction of fugal music. The four-voice fugue is terrific fun, quoting and demonstrating as it does some bad contrapuntal practices. Years later in a 1974 interview with Bruno Monsaingeon, Gould would reflect on writing the piece and some of its many music-theory jokes. 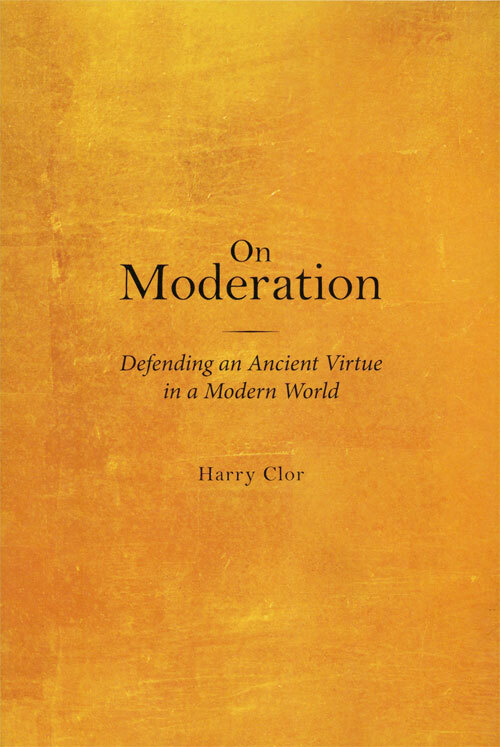 In light of our recent discussion of political moderation in our look at Harry Clor's book On Moderation, it seemed prudent to try to apply, or at least consider, its role in current political discourse. Sven Wilson's article at Pileus and the recent discussions about pragmatism at Ricochet have prompted me so do go at both. For the most part here I just want to bandy the ideas around and see what turns up, so pardon my discursive rambling and lack of final answers. First off we should consider definitions. We remarked that one aspect of political moderation is simply settling for less (with the factor of expediency being the tradeoff.) For example, you could consider the authors of the constitution of settling for less by signing a document that didn't address slavery and lacked a bill of rights. Passing it despite such flaws was a compromise, and with liberty of all things. 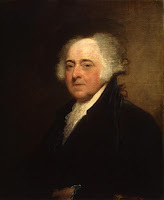 They didn't know whether what they did would trend toward liberty or tyranny, but I think most people would suggest the outcome was reasonably positive for liberty. Yet not all compromise is inherently moderate. I'm sure much of the left considers recent healthcare initiatives as precursors to more comprehensive plans. Such proposals, and many other contemporary ones, present a particular challenge because they present conflicts not just of administration or policy but of philosophy of government. You can debate and compromise about administration or policy rather easily if everyone agrees about certain fundamentals. 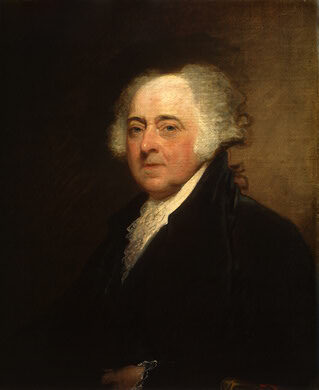 The notion of government, and society in general, implies some type of accord. Federalism itself implies that everyone agrees on some things, most people agree on a larger set of things, and so on down to the local level. One of the political benefits of federalism and liberalism is that they allow people to get along without agreeing on everything. (It is the contention of many liberals, i.e. classical liberals and libertarians, that society trends toward centralization and consensus, creating a need to fight regularly and vigorously for individual rights. Even Aristotle, no libertarian, observed that the state was a naturally occurring construction.) Let us, though, consider political moderation specifically relative to liberty since I think it is the principle people would least like to compromise with. Let us consider the non-political, though, for a moment. Internally we compromise even with liberty. For while in the political sense we may free to do what we wish so long as we harm no one, we must curb certain desires in order to preserve the ability to do certain things even though we would wish to do everything we wanted all the time if possible. Perhaps there is a philosophical question we must address in the difference between a hierarchical organization of values and one that is based on imperatives. Compromise is certainly more amenable to the former. Most people compromise somehow, but perhaps the more interesting question is whether the compromise leads to an unraveling of the value. Is the current illiberality (as perceived by libertarians) of the U.S. simply the result of previous compromises with liberty? It would seem so, at least to a large extent. How else could it have come about? Unfortunately, though, taking a "hard line" might not actually bring about the idea, as much as it preserves the integrity of the person holding the idea. Does one compromise in the case of emergencies? (Rand's "The Ethics of Emergencies" comes to mind.) What if the alternative is globally catastrophic? I recall not too long ago there was a discussion by mainstream libertarians (it might have been at The Volokh Conspiracy) where the question was if you would violate property rights to save the world somehow. Is this "extreme?" If not, what is? On the other hand the left frequently labels Ron Paul as an extremist. Perhaps in order to be moderate one has to be aware of the most absolute extremes and then see where a given proposal lies. Such was Clor's contention and it seems a prudent, even necessary, measure in order to recognize the moderate position. Is there a hierarchy of values, though? Are some more important or at lest more generally agreed upon than others? A prohibition of murder is quite common amongst societies. It is safe to say if one person believes you can kill and steal, that he can't live with anyone else. But how many values are there which require accord? Very few, libertarians would say. On the other hand there are people who believe it is acceptable to pass extensive laws protecting (or that they think will protect) the environment. Can these two groups live together? Ought either side compromise? The answer seems to be rather obvious, that people agree on some things and not others. Federalism would seem a force of help here for any number of parties. Perhaps living together is only possible within some federalist-libertarian framework in which initiating force is not permitted and people tend to live and move to jurisdictions with laws they favor. For example, one might have strong or even extreme ideas but not don't claim the right to exercise them over anyone else. Is this plausible, utopianism, or simply libertarianism? Do permanent institutions like states mandate bonds among people, bonds which force accord and thus compromise? If this is so, then one's opinion of the legitimacy and/or necessity of the state might dictate whether compromise is a necessity. If the state is necessary, then you have to compromise with it lest you prevent it from completing its necessary function. Now if there is a hierarchy of values then to be "completely" free, intelligent, et cetera, one might have to sacrifice much else and be completely lacking in other things to accomplish such consistency in one part of your life. Is this desirable? Even if the situation is moderated, who wants to be "half-free" or "half-loved?" Perhaps the missing element is the role of choice and hence (in part) why liberty has found so many adherents. Everybody does, as we said, make compromises, but everyone wants to make them themselves. Still this approach does not seem to help in a situation of hierarchical values. In that situation perhaps one may only compromise with a value if one thinks the compromise will benefit that same value somehow later. Perhaps it is only acceptable to jeopardize it temporarily if you hope by that means eventually to strengthen it. As we said, in the manner of Aristotle, these situations are too many to foresee. We observe though that imperatives are not so amenable to compromise. Is to have one, then, even "to be moderate" itself immoderate? Perhaps this is a case of over-thinking an issue. Many people, even people who believe strongly in a cause, recognize limits to it in some circumstances. One thing seems clear, though. As Mr. Wilson said, compromise is not a virtue in itself, only doing something good is (regardless of whether or not compromise is involved.) Moderation is a good not insofar as it splits the difference but as it achieves some particular good. The documentary "Vivaldi's Women" on BBC Four presented the story of an extraordinary creative partnership between one of history's great composers–Antonio Vivaldi–and an all-female orchestra and choir. In the early 18th century, Father Antonio Vivaldi was a violin teacher, musical director, musical instrument procurer and in-house composer for a Venetian institution called La Pietà, a home for children who had been abandoned at birth. The institution had its own all-female orchestra and choir who provided sacred "entertainment" in the church for the visiting "Grand Tourists". The unique creative relationship that Vivaldi formed with these women resulted in what many believe to be one of the finest performing groups of all time. Cello Concerto in C Major Op. 40 written in honour of Pau (Pablo) Casals by his friend, Donald Francis Tovey. 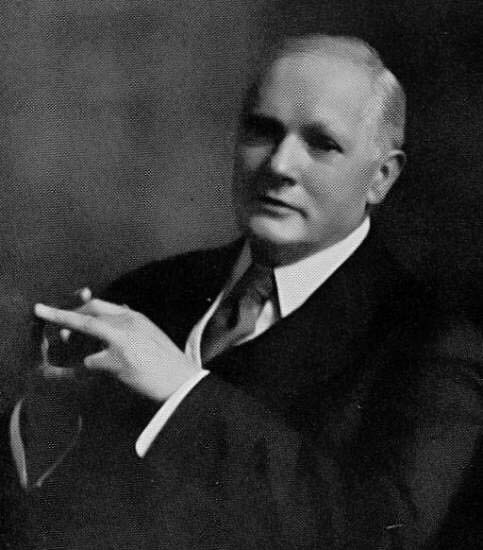 Still over 135 years after his birth, few, if any, have written about music with as much love, sagacity, and good humor as Donald Francis Tovey. His modestly titled "Essays in Musical Analysis" is in fact a six-volume collection of his program notes for the concerts under his baton at the Reid Orchestra in Edinburgh. Since publication in the thirties they have become the model for concert notes aiming to do what they ought to: prepare as quickly as possible anyone who picks them up to appreciate the piece. With them Tovey aimed not to "vex with grammatical minutiae" but rather be "counsel for the defence," to tell you what a work is trying to do and suggest it is successful enough that you ought to keep your seat. Their author suggested they don't make for good continuous reading and he's probably right, but they are fine preludes to any pieces Tovey deigned to comment on. I say deigned for these notes brim with his character. First, the reflections themselves bear out his taste, a taste moved by Schubertian songfulness as Bachian contrapuntal density. In his mind and character there was room for the Olympian and the urban and throughout these notes one sees as much love for a spiky chord of Beethoven as a chattery piece of Mozart. On the one hand we have sober appraisals like, "The vulgar popular author often does not know that literature and art contain higher thoughts than his own" and on the other, old world parables: "the centipede whose inspiration was paralyzed by a malicious snail, who asked him which leg he put down first." Tovey's love and reverence for this music is today sometimes seen as uncritical. Arthur Hutchings, whose admiration and reverence for Tovey is clear from his own notes, hit the correct note when he said that to Tovey, to mention weakness in one of the classics was to be "perky." What a compliment. Should you find a misplaced phrase, a clunky line, thin plots, cheats, or stock bits, do make note and, in the fashion of a good gentleman scholar, enjoy the rest. Must one comment on such trifles? What will doing so teach about, say, Mozart? Yet Tovey's softness is overstated. He can call a phrase trivial, point out (often contra common suppositions) who owes what to whom, and so forth. Yet there is a disposition rooted as much in classical education as humane perspicacity and cultivated by years of pruning away thorny habits from a genteel deportment, that yields a pious, and grateful, temperament. By all means criticize this phrase from Beethoven, or Shakespeare for that matter, but to remember their successes is to see how small the imperfections. We mentioned a "classical education" and seldom have the joys which spring from it and only it been on fuller display. What else would have permitted analogies between the 18th century Viennese music and Aristophanes, be it likening the croaking chorus of the Frogs to a phrase from Mozart or seeing in Haydn's treatment of a theme the debt-ridden, sleepless Strepsiades: I'm being bitten through the bed clothes by a b-b-b-b-b-bailiff. Deficiency would mark this essay if we passed over Tovey's charming turns of phrase, turns Wikipedia impenetrably refers to as "Humpty-Dumptyish." Regardless, if saying that, "Haydn never produced a more exquisitely bred kitten" doesn't crack you a smile, then perhaps Papa H. isn't for you in the first place. Humor aside, the essays brim with scholarship and for their variety demonstrate a surprising interconnectedness. 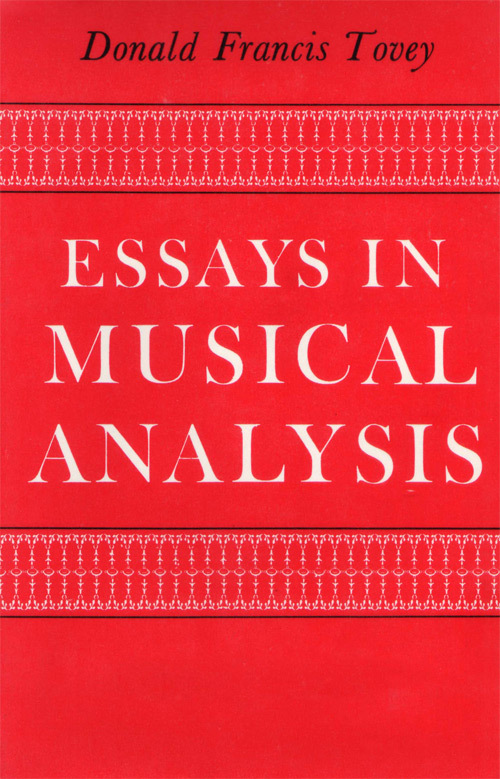 Yes, Tovey can speak about the "Beethovenian sonata" because he has in fact been through every bar of every Beethoven sonata but it is not so much overt research and arguments that come through, or even his lively literary characterizations of the musical gestures but the, often rather oblique, discussions of style. This phrase or development is very Mozartian insofar as. . . Such and such could never have written this. . . Whose style anticipates whose, who had whose procedures in mind, whose subject resembles whose, who perfected his use of the orchestral ritornello. . . Nearly every essay is littered with throwaway observations and comparisons. Observations and comparisons which could only be made by someone who spent a lifetime studying, playing, and loving music. Many such observations could be turned into volumes of their own and the dutiful student will be rewarded by pulling out scores and following Tovey's prompts to follow up a discussion. So cast aside the flashy irreverence of modern criticism and the gobbledygook of contemporary scholarship. Too cast aside Tovey's own modesty about these enlivening and invaluable volumes and seek them out. Born before the premier of Parsifal, Tovey was of the musical tradition he wrote about. For someone who heard Joachim himself play those famous cadenzas to the Beethoven Violin Concerto Tovey is more approachable, more near to us, than we could ever expect. He bridges the world between the living culture of classical music and today. We may only look back at, but he would be happy, delighted, to introduce you to the "elaborate mystifications" of Carnaval and the "eternal laughter of Mozart," though you'll make a few stops, and jokes, along the way. The raillery is continued even more quizzically. But soon Mozart, though refusing to leave the tonic chord, plunges into the usual forte theme which comes to the usual half-close. Then, thinks the usual theorist, we have the usual second subject. But, as we have seen before, it is impossible to tell which, if any, of the themes of a Mozart tutti is going to belong to the second group. Another tutti theme, beginning with a conspirator's crescendo, leads to the cadence-figure of the whole ritornello. On the state this would imply a ribald gesture addressed to deluded husbands. See Figaro, Act IV, No. 26 'gia ognuno lo sa'. The language of the theater was Verdi's only musical idiom; and our musical culture, resting secure on its foundation on Bach and Beethoven, can derive nothing but good from realizing that to object to the theatricality of Verdi's Requiem is about as profane to point out that Beethoven lacked the advantages of a university education. Asbestos is not in common use as material for writing or printing, and so I cannot express my opinion of the cuts sanctioned by tradition in performances of Haydn's Creation. The ninth movement, the fifth verse of the chorale, is oneo f Bach's great choral variations; not, this time, in the free declamatory style that so effectually disguises the structure of hte third verse, but in a stupendously complete and clea rform which only Bach has achieved, though his examples of it are so numerous that they are believed to be normal specimens of academic music. (The first chorus of the Matthew Passion is one.) The essence of this form is that, while one voice or part sings the chorale phrase by phrase, with pauses so long between each as to stretch the whole out to the length of a long movement, the other parts execute a complete design which may or may not have some connexion with the melody of a chorale, but which in any case would remain a perfectly solid whole if the chorale were taken away. . . we may confidently say that before Bach it was hardly known, and that it has never been attempted since. 6) But Is It Art? 25) Can Conservatives Be Libertarians? 35) Is Inflation Harmless or Even Good?